In most of these pages, we have to load some JS and CSS files. As stated in the official website, we can't use the functions.php file with Oxygen. So here is the easiest and most convenient method. Install the zip file like a normal plugin for wordpress, and activate it. What file to edit ? plugin.php is the file you have to edit to enqueue (add) your JS and CSS files in WordPress. assets/images/ for the images that come with these files. Of course you have to upload all the files in their assets folders. 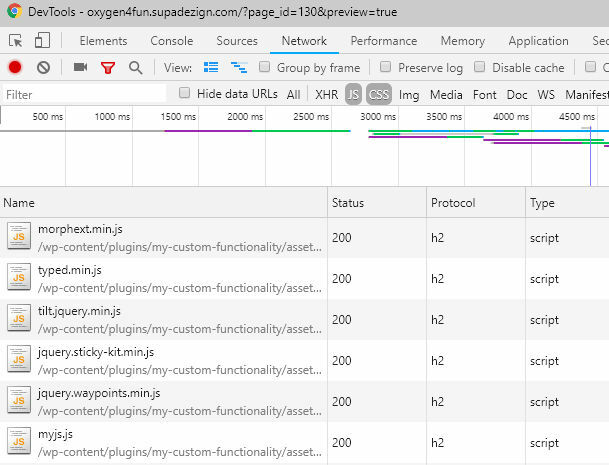 And if you want to check if everything was loaded properly, you can open any page of your website and see in the devtools / network if there are some errors.